The engine having trouble turning over. Your car isn’t starting at all. If you’re looking for a mechanic for starter motor repair or starter motor replacement but don’t want the added inconvenience and flexibility needed to use a fixed place mechanic workshop, then you need us. Lube Mobile’s fully qualified mechanics will come to the place which suits you the most at a convenient time for everyone. We’ll arrive completely ready for your vehicle repairs, maintenance and service needs with all tools and on board to get the job finished on time so you don’t have to organise alternative transport or work to your local mechanic’s timeframe. We can organise for your mobile on-site mechanic to meet up with you at your place of work or at your house. We can meet you pretty much anywhere you need to us to be which even includes holiday carparks to get you back out on the road in no time at all! Log on to the Lube Mobile online booking facility and after only a few pieces of easy information from you about your vehicle’s make, model and year you’ll have an arrival time, a place booked in, a price on your starter repairs, email or SMS conformation and a friendly explanatory mechanic and the support of our nationwide warranty. We use only the highest quality standard parts and spares – no exceptions! All of our service work and repairs come with a nationwide 12 month/20,000km warranty so you can rest easy if you travelling interstate. If you’re looking for the most convenient and highest quality repair work for your vehicle, enter postcode above to see how easy it is or contact Lube Mobile now on 13 30 32 for friendly assistance. I would like to thank LubeMobile for saving us. 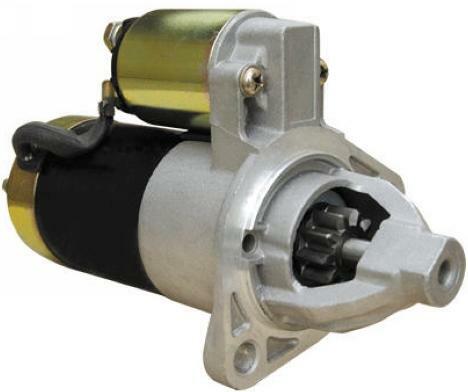 The starter motor on my wife's car failed in a major shopping centre carpark. We are not in RACV so it would have cost a fortune to have the car towed for repair. Our regular mechanic ic couldn't work on it in the carpark for OHS reasons. 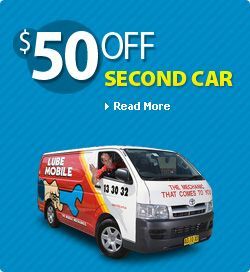 So I searched online for a starter motor solution and found LubeMobile. I booked online and got a fixed price to change it over along with a di discount for booking immediately. The next morning the lubemobile mechanic arrived changed it over and got us underway in just a couple of hours at a great price. So thanks for saving our day... . you don't need roadside assistance you just need LubeMobile! The service from email to job completion was fast efficient and very professional. I was very happy and have since recommended Lube Mobile to several friends. Thanks. Brilliant, honest service, at a reasonable price! I would recommend the mechanic Joel to anyone!